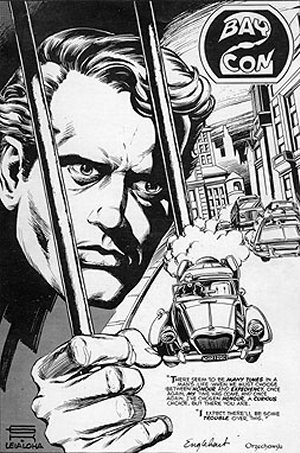 Drawn by two of the true great comic book legends, Jack Kirby and Gil Kane, this is a facsimile collection of a ‘long-lost’, unpublished legendary comic book based on the cult classic 1967 British TV show, The Prisoner, co-created, written, directed and starring Patrick McGoohan (Scanners, Braveheart). This giagantic book (size-wise, not page count-wise) is a stunning showcase for two of the greatest comic book legends: Jack “The King” Kirby and Gil Kane. This art-sized hardcover book collects long-lost pages by Kirby and Kane, never before published, based on the cult classic 1967 British TV show, The Prisoner. The art is printed original size, which means the book is nearly a foot-and-half tall and over a foot wide. The high-quality reproduction makes it seem like you’re looking directly at the original artwork. It also contains facsimiles of the original script by Steve Englehart, and bonus features and creator bios written by Englehart and Bob Wayne. Unlike some of the other “Artist Edition” type books, this volume contains work that was not previously published. Save for a few sample pages published in fan magazines, this is all-new stuff for most readers. In the mid-1970s Marvel Comics made two aborted attempts to adapt the British cult hit TV Show, The Prisoner, into comics and they’ve remained unseen until now. The first attempt, written and drawn by the legendary Jack Kirby, was abandoned before the book was even finished. Some of the art in this book is complete, with inks by Mike Royer, while the rest of Kirby’s story is printed directly from his original pencils. A second attempt was written by the great Steve Englehart, and drawn by another legend, Gil Kane (Green Lantern, Spider-man, His Name Is Savage, among others). 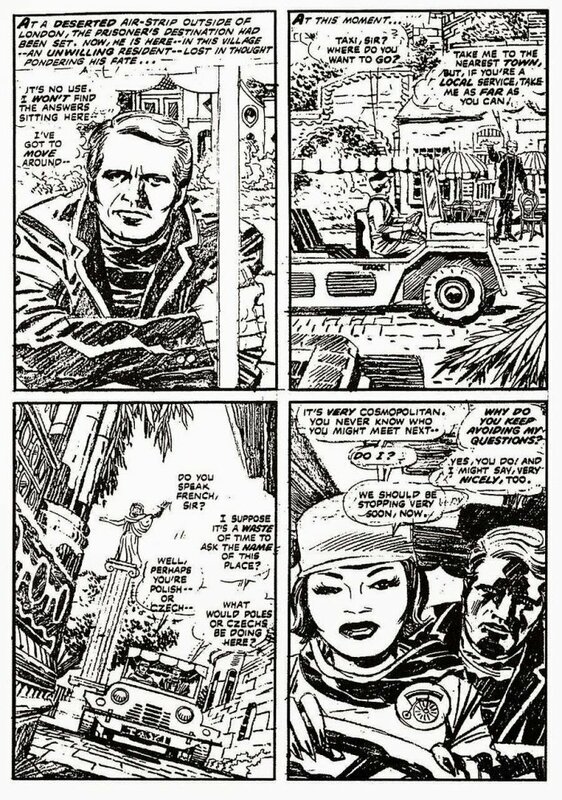 It’s presented with full-page reproductions of Kane’s un-inked pencils, then again in lettered form with Kane’s pages presented next to Englehart’s corresponding script. This entire story remains un-inked, save for one page that was repurposed for a convention program cover (seen left). Not only do you get to read two previously unpublished works by masters of the form, but you also get to see the process and learn more about what comic book art looks like while it’s being made. One of the bonuses in this edition is an elaborate two-page spread drawn by Jack Kirby and inked by Mike Royer, which has been colored by Mike Allred, just to give you an idea of how much color brings to the finished product. This book is the perfect gift for fans of The Prisoner, or Jack Kirby or Gil Kane, or just anyone who loves the art form of comics and wants to appreciate the artwork close-up. Originally slated as a suggestion for “Big Ticket Day” here in The 2018 PopCult Gift Guide, this book has now been so heavily discounted by Amazon that it’s now just a regular entry.